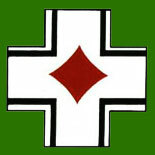 Formed 26 Aug 1942 in Kharkov from I. Fliegerkorps, for the support of the new Heeresgruppe Don. Was subordinated to Luftflotte 4. On 17 Feb 1943 redesignated I. Fliegerkorps again. HQ at Kharkov (Dec 1942 at Starobelsk).